Steiner: Don't be like me. Salvation doesn't lie within four walls. I'm too serious to be a dilettante and too much a dabbler to be a professional. Even the most miserable life is better than a sheltered existence in an organized society where everything is calculated and perfected. 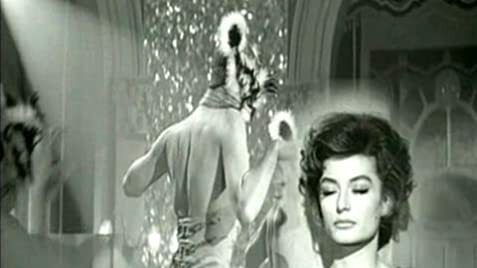 Q: What is the English translation of the title "La dolce vita"? Frank Capra once said that there are no rules in film-making, only sins, and the cardinal sin is Dullness. And I'm sorry to say that Dullness is something that La Dolce Vita has in spades. The story is uninspiring, the plot non-existent, the characterisation flat and the dialogue is about as profound as a fortune cracker. Maybe something got lost in the translation, maybe I'm low-brow and uncouth, maybe I expect too much. Then again, maybe I just want to be entertained. 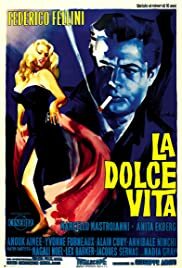 I'm sure La Dolce Vita has its adoring fans who would defend this title to the hills and go on about how intelligent it all is, and how my generation has been 'dumbed-down' by Hollywood. But please, let's be honest, it's simply not that good. Watch Cinema Paradiso instead.